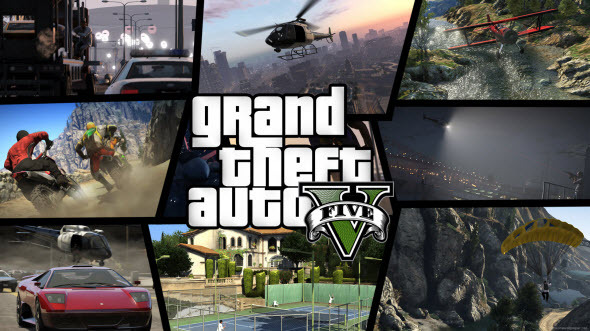 Dear gamers, today we are incredibly happy to share the most anticipated and nicest news - GTA 5 game will be released for the next-gen consoles, as well as for the personal computers already in a couple of months. Thus, yesterday on Sony press-conference in Los Angeles, which was held during E3 expo, it became known that Grand Theft Auto 5 game would be launched on PS4. A bit later (on the same day) Rockstar’s representatives made an official statement, according to which GTA V on PC, PS4 and Xbox One will hit the stores sometime this fall. As the developers have said, they will use all technical power of the next-gen consoles and PC in order to create the most exciting, vivid and detailed world of this incredible action-adventure. According to the employees of Rockstar, three new versions of the game will include not only the improved graphics, the upgraded weather and damage effects, lots of fresh details to reveal, all released for the current moment updates (with the different vehicles, weapons, properties and etc.) and a mass of approved jobs, but also some fresh content. Another important thing is that everything created by you in Grand Theft Auto Online will be also available for all new game’s versions. And the last interesting detail, which we would like to share with you today, is connected to the fresh game’s trailer, which was published a couple of hours ago and is dedicated to the announcement of GTA V on PC, PS4 and Xbox One. Watch and enjoy the new look of this amazing action-adventure on PS4. Are you glad that Rockstar has finally announced GTA V on PC? Did you like the new video? Let us know about your impressions in the comments below.